If you’re an iPhone or iPad user and you’ve been waiting to take the plunge into the world of Mac, Apple may have just made that possible for you. Wednesday, the second most popular brand in the world, Apple, launched a new entry level iMac all in one computer. The new iMac features a 1.4-GHz dual-core Intel Core i5 processor, 8GB of RAM, a 500GB hard drive and Intel HD Graphics 5000. When moving from PC to Mac one of the biggest advantages is stability and design. Mac’s don’t often get viruses and they don’t get outdated nearly as quickly as their Windows based rivals. 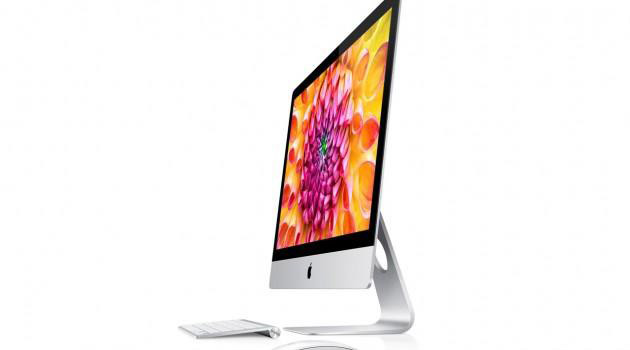 The iMac design is sleek and looks good in any home or office. It’s all in one design also makes it easier to set up and dive right in. What’s the biggest difference from the $1099 model and the current 21″ iMac for $1299? For $200 more you’ll get a 1TB hard drive and a 2.7ghz Intel Core i5 processor. Apple also released an entry level Macbook Air earlier this year with a price tag of just $899. That Macbook Air is comparable to the more expensive models that were released in early 2013. If this is your first foray into the world of Mac computers the $1099 21″ iMac should be more than enough to satisfy your desk top computing needs.